The 29th Singapore International Film Festival will take place from November 28 until December 9, with over 100 films from 40 countries. The latest film from Franco-Cambodian director Rithy Panh Graves without a name will be screened for its Singapore premiere in the National Museum of Singapore. 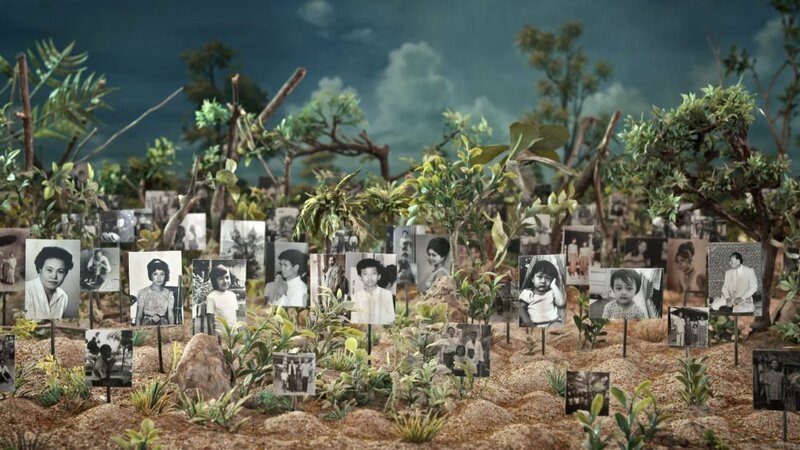 In Graves without a name, Rithy Panh hunts for the lost graves of family and friends who perished during the Khmer Rouge regime, trying to right long-standing wrongs in the wake of a national trauma. Picking up where his Oscar-nominated, Un Certain Regard-winning documentary The Missing Picture left off, Panh continues his exploration of people coping with the aftermath of genocide through the balm of religion. The result is an intimate and unflinching documentary that shines a light on the darkest chapter of a nation and the tenacity of its people. The screening will take place on December 7 at 7PM in the Gallery Theatre of the National Museum of Singapore, followed by a Q&A with the director. A Materclass with Rithy Panh will be organised on December 9 at 11am at the National Museum of Singapore, with a discussion on his filmmaking process.